 The Highveld Mall links directly into The Ridge Casino and promises a world of shopping and entertainment in the heart of Witbank. At Highveld Mall you will find over 180 outlets, 70 of which you will not find anywhere else in the Highveld. You can bank, dine, browse, travel, upgrade, bedazzle, make-up, frame, pamper, educate….or indulge in your every fashion fantasy! It's the mall that has it ALL. Highveld Mall is the largest shopping mall in Mpumalanga and has the biggest Edgars in province with super-brands Mango, Forever New, Lipsy, Accessorize, Tom Tailor, MAC, Dior and Bobby Brown. Other large favourites include Woolworths, Game, Pick n Pay & Dis-Chem, as well as a full range of exclusive line stores and 17 eateries.